Your Invisalign treatment will consist of a series of aligners that you switch out about every two weeks. 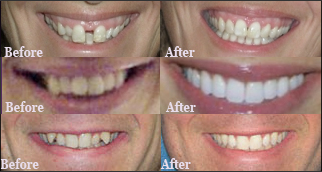 Each aligner is individually manufactured with exact calculations to gradually shift your teeth into place. And since your Invisalign system is custom-made for your teeth and your teeth only, you know you'll end up with a smile that truly fits. If you're ready for a smile that transforms your appearance, Invisalign is your answer. It does an excellent job of giving you the flexibility you need, since it's clear and removeable. Although there are many choices out there, no other works as effortlessly as the Invisalign system. Call us now to schedule a consultation with Dr. Weaver to see how Invisalign can transform your life! Visit the Invisalign site to learn more! Reserve time for your FREE consultation!